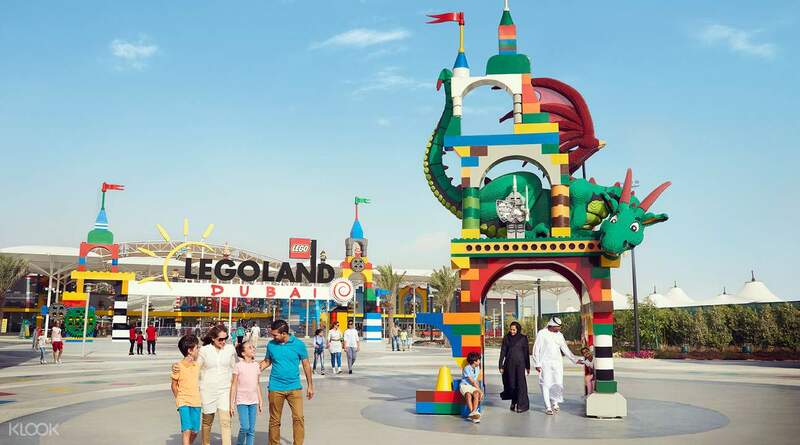 Enjoy over 40 LEGO® themed rides, shows, and attractions at LEGOLAND® Dubai! Splash around the world of LEGO® at LEGOLAND® Water Park that perfect for families with kids aged 2-12! Went on a Thursday and it seems like we rented the whole legoland park. However the water park is quite busy even though it is a weekday. Great activities awaits kids for Easter celebration. Visit one of Dubai’s newest parks, or rather a collection of parks, for a day of unforgettable adventures for kids and adults alike. Having opened its doors in December 2016, Dubai Parks and Resorts lets you experience three mega theme parks - all in one place. 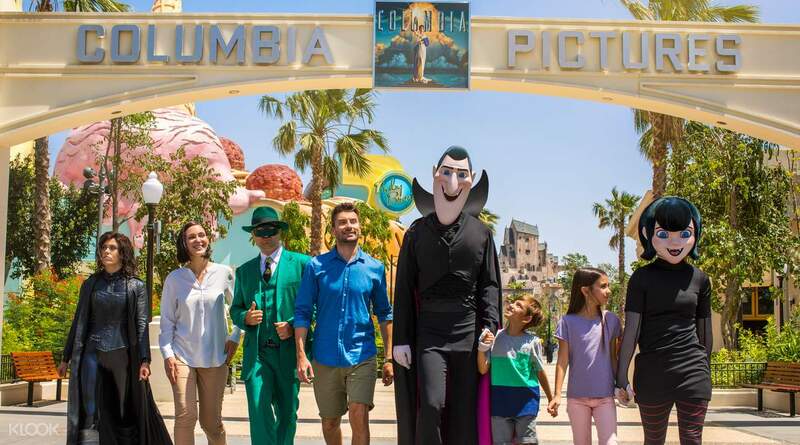 MOTIONGATE™ Dubai invites you on thrilling themed rides through the best of Hollywood’s blockbusters: The Hunger Games, Ghostbusters, Step Up and more, as well as a journey to a real-life movie set at Studio Central. 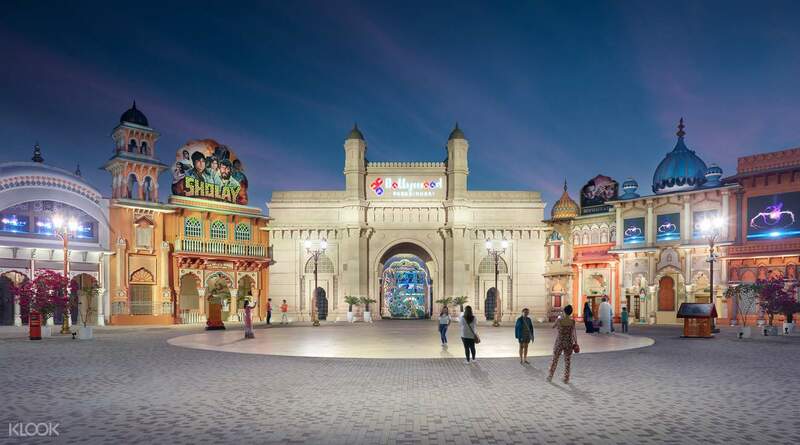 BOLLYWOOD PARKS™ Dubai combine interactive rides and multimedia shows to give you a one of a kind experience with Bollywood’s famous celebrities. Come explore a world where the LEGO® brick comes to life at LEGOLAND® Dubai and LEGOLAND® Water Park. Set your imagination racing with over 60 themed rides, slides, shows, building experiences and an entire year of awesome events! The ultimate destination for families with kids aged 2-12! Book now on Klook and instantly enjoy two adventures with just one pass – just take your pick! Conquer the park as a family and bring your kids, perfect for ages 2-12, for a fun day out! Beautiful theme parks where you can choose from 4 different ones. For smaller kids there is Legoland with a lot of play areas, the nice Dubai city made of bricks and some rides. For adults and teenagers there is the awesome Motiongate with a lot of great movie rides. The whole park is super clean, staff is friendly and the theming is made perfectly! Both parks were not busy so we had no waiting time at any of the rides! After the parks close you can go to the city walk named Riverland and choose from a variety of Restaurants and Shops. We really loved the atmosphere and it was definitely worth the money. If you come on a weekday take a 2 parks 1 day ticket as you can manage to do 2 parks when it is less busy. Beautiful theme parks where you can choose from 4 different ones. For smaller kids there is Legoland with a lot of play areas, the nice Dubai city made of bricks and some rides. For adults and teenagers there is the awesome Motiongate with a lot of great movie rides. The whole park is super clean, staff is friendly and the theming is made perfectly! Both parks were not busy so we had no waiting time at any of the rides! After the parks close you can go to the city walk named Riverland and choose from a variety of Restaurants and Shops. We really loved the atmosphere and it was definitely worth the money. If you come on a weekday take a 2 parks 1 day ticket as you can manage to do 2 parks when it is less busy. Legoland is heaven for a toddler! Of course, it’s a given that my 2yo would not be able to go on all the rides but there were enough rides and attractions to keep us busy and excited. We really wanted to do Legoland Waterpark as our second theme park but as my son had a cough, we decided on Motion Gate instead. More limited rides/activities here for a 2yo so don’t expect much. My son absolutely enjoyed the Ghostbusters zapping the ghosts ride and we did that 3x in a row! Legoland is heaven for a toddler! Of course, it’s a given that my 2yo would not be able to go on all the rides but there were enough rides and attractions to keep us busy and excited. We really wanted to do Legoland Waterpark as our second theme park but as my son had a cough, we decided on Motion Gate instead. More limited rides/activities here for a 2yo so don’t expect much. My son absolutely enjoyed the Ghostbusters zapping the ghosts ride and we did that 3x in a row! Dubai Parks and resorts had its own spark in it. Though all the options were available, but we chose Bollywood Park and Lego land Dubai. Bollywood Park was charm for us as we are Indians. Lego land park was my daughter's Disneyland. But she was not eligible for most of the rides as she is a bit too little for those. Thanks to KLOOK for arranging the trip which was bang for bucks. Dubai Parks and resorts had its own spark in it. Though all the options were available, but we chose Bollywood Park and Lego land Dubai. Bollywood Park was charm for us as we are Indians. Lego land park was my daughter's Disneyland. But she was not eligible for most of the rides as she is a bit too little for those. Thanks to KLOOK for arranging the trip which was bang for bucks. Very good deal! The price is cheaper than any of the places that provide special offers. We decided to go to Motiongate last minute. Instead of queuing , we bought the tickets immediately online via Klook. The whole process took less than 5 min. No need to queue and just scan the QR code at the gate. Very good deal! The price is cheaper than any of the places that provide special offers. We decided to go to Motiongate last minute. Instead of queuing , we bought the tickets immediately online via Klook. The whole process took less than 5 min. No need to queue and just scan the QR code at the gate. We visited Motiongate Dubai. I wasn’t expecting that much but it turned out to be a very fun day! The Lionsgate part with the Hunger Games rides looked amazing. The bullettrain coaster was fun. But what we liked most was the indoor area of Dreamworks. Usually indoor parks or area’s aren’t that pretty but here it was just awesome. Very well done. The Madagascar coaster was a huge surprise. Very intens and fun. We visited Motiongate Dubai. I wasn’t expecting that much but it turned out to be a very fun day! The Lionsgate part with the Hunger Games rides looked amazing. The bullettrain coaster was fun. But what we liked most was the indoor area of Dreamworks. Usually indoor parks or area’s aren’t that pretty but here it was just awesome. Very well done. The Madagascar coaster was a huge surprise. Very intens and fun. Good to book through klook! No need to queue to buy tickets! Just scan the QR code on your voucher to enter straight away. A lot cheaper than buying at the gates too. Note that it is very very far from downtown Dubai. A taxi will take you about 40 minutes and 120AED to get to the park. There will be plenty of cabs to get you back to the city if need be, coz taxi drivers won’t leave until they fetch a customer. The taxi I took told us that he waited for 3 hours before he took us back. Good to book through klook! No need to queue to buy tickets! Just scan the QR code on your voucher to enter straight away. A lot cheaper than buying at the gates too. Note that it is very very far from downtown Dubai. A taxi will take you about 40 minutes and 120AED to get to the park. There will be plenty of cabs to get you back to the city if need be, coz taxi drivers won’t leave until they fetch a customer. The taxi I took told us that he waited for 3 hours before he took us back. Easy access to the park with KLOOK tickets and the promotion for buy 1 get 1 was worth it! If you are heading to Motiongate, the walk is s bit of a walk from the main drop off point tho. Rides were awesome and you need not have to wait too long as it was fairly empty on a Thursday. Everything in park was good and up to standard! Must do if you have young kids and if you love the Smurfs!!! Easy access to the park with KLOOK tickets and the promotion for buy 1 get 1 was worth it! If you are heading to Motiongate, the walk is s bit of a walk from the main drop off point tho. Rides were awesome and you need not have to wait too long as it was fairly empty on a Thursday. Everything in park was good and up to standard! Must do if you have young kids and if you love the Smurfs!!! We’ve visited 2 parks, Legoland and Motionpark. Both were cool, but in my opinion, Legoland was for for the kids from 1 to 8 years old, and motionpark was for kids of all ages, and even for adults. I just showed mobile ticket in my phone, and passed easily. We’ve visited 2 parks, Legoland and Motionpark. Both were cool, but in my opinion, Legoland was for for the kids from 1 to 8 years old, and motionpark was for kids of all ages, and even for adults. I just showed mobile ticket in my phone, and passed easily. Easy redemption just show your printed or mobile voucher to scan the QR code. The best value compare to onsite ticket purchase. Easy redemption just show your printed or mobile voucher to scan the QR code. The best value compare to onsite ticket purchase.